Treylor Park Restaurant opening in Nocatee (Ponte Vedra) on July 7th! The Savannah-based restaurant, Treylor Park, announced a July 7 opening for their Nocatee location. Guests can indulge in unique items such as PB&J Chicken Wings and Chicken and Pancake Tacos, as well as Shrimp and Grits Tacos, Crab Cake Sliders, and a selection of burgers, sandwiches and salads. The restaurant also offers cocktails such as Treylor Park, made with Aperol, Prosecco, club soda, orange juice and Fernet-Branca, and the Peach Pit, made with peach bourbon, lemon juice and peach cider. There will also be an assortment of wine and beer including cans, bottles and drafts. 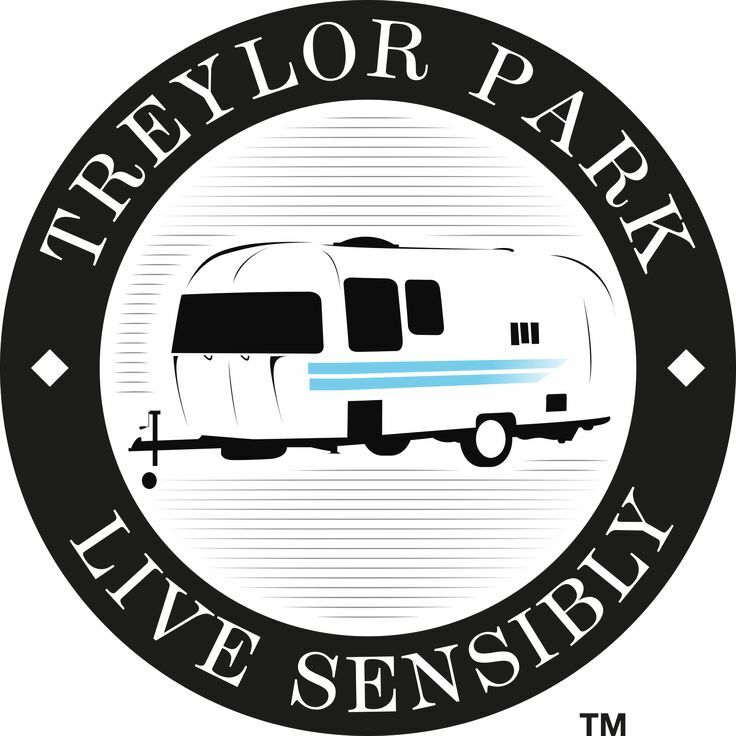 Owner Trey Wilder opened Treylor Park in October 2014 in Savannah and it has since been featured on “Food Paradise” on the Travel Channel. 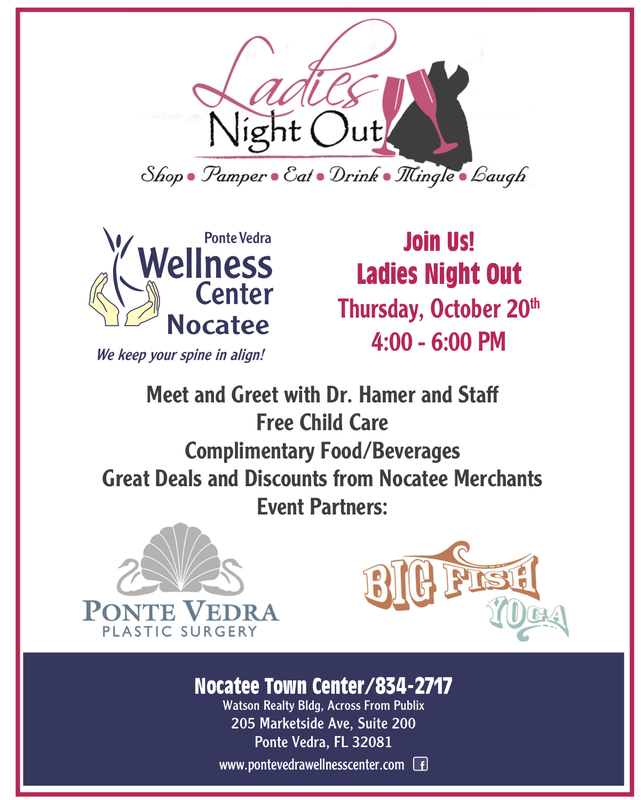 The restaurant is located in the Nocatee Town Center at 158 Marketside Ave. in Ponte Vedra Beach. The 3,200-square-foot location boasts 150 indoor seats and a 900-square-foot patio. The hours of operation are Monday – Thursday from 11 a.m. to midnight, Friday from 11 a.m. to 1 a.m., Saturday from 10 a.m. to 1 a.m. and Sunday from 10 a.m. to midnight. The kitchen is open daily until midnight. Simon, a global leader in the ownership of premier shopping, dining, entertainment, and mixed-use destinations, today announced True Food Kitchen is slated to open at St. Johns Town Center in November 2018. True Food Kitchen is a restaurant inspired by a philosophy that food should make you feel better, not worse and that delicious dining and conscious nutrition can go hand in hand, without sacrificing flavor, creativity or indulgence. True Food Kitchen’s health-driven menu of seasonal dishes and natural beverages is guided by the principles of integrative medicine expert Dr. Andrew Weil’s anti-inflammatory food pyramid, which was created as a guide for those seeking the necessary foods needed to assist in achieving and maintaining optimum health. The chef-led menu changes with the seasons to let guests experience great-tasting ingredients at the peak of their freshness and flavor, and offers a variety of gluten-free, vegetarian and vegan offerings among its signature dishes. The restaurant’s vibrant bars are brimming with innovative, handcrafted cocktails, wine and beer and natural refreshers made from freshly pressed fruit and vegetables. True Food Kitchen’s plans include a bright, vibrant dining area and open kitchen accompanied by a private and semi-private private dining room, covered patio and a large indoor bar. For more information about True Food Kitchen opening at St. John’s Town Center, please visit www.truefoodkitchen.com/jacksonville. Founded in Phoenix, Ariz. in 2008, True Food Kitchen is a restaurant and lifestyle brand inspired by the philosophy that food should make you feel better, not worse, and that great tasting food and thoughtfully crafted beverages can serve as the foundation for a life well lived. The restaurant brand is driven by a passionate collective of accomplished chefs, visionary restauranteurs, and a renowned doctor of integrative medicine – who believe delicious dining and conscious nutrition can go hand in hand, without sacrificing flavor, creativity or indulgence. True Food’s seasonal menu is guided by the principles of Dr. Andrew Weil’s anti-inflammatory food pyramid. True Food Kitchen emphasizes wholesome, simple ingredients with simple preparations to highlight the natural health benefits and flavors of each ingredient. From nutrient-dense staples and carefully sourced proteins to little-known superfoods, True Food Kitchen is committed to sourcing the most responsible, most creative, freshest in-season ingredients. 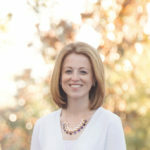 True Food Kitchen has 23 locations in 10 states including Arizona, California, Colorado, Illinois, Florida, Georgia, Maryland, Pennsylvania, Texas, and Virginia, with plans for additional locations throughout the U.S. in the coming year. Simon is a global leader in the ownership of premier shopping, dining, entertainment and mixed-use destinations and an S&P 100 company (Simon Property Group, NYSE: SPG). Our properties across North America, Europe, and Asia provide community gathering places for millions of people every day and generate billions in annual sales. For more information, visit simon.com. Happy 2017!! 2016 was a great year for myself and my family. This year I do want to make a resolution, to eat healthier. I now work part time in the afternoons/evenings, so trying to come up with healthy meals at lunch time and dinner time is becoming quite the task. For lunch sometimes I grab fast food for a quick option which isn’t healthy, or sometimes I skip and eat a snack at work which is not healthy either. I get home after 6pm and the last thing I want to worry about is what meal I will be cooking. I would rather spend quality time with my family. Sometimes I wish their was an easier way. Well, I found one! 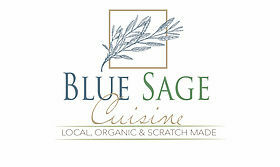 I was contacted recently by Blue Sage Cuisine, a local catering company out of Jacksonville, FL. 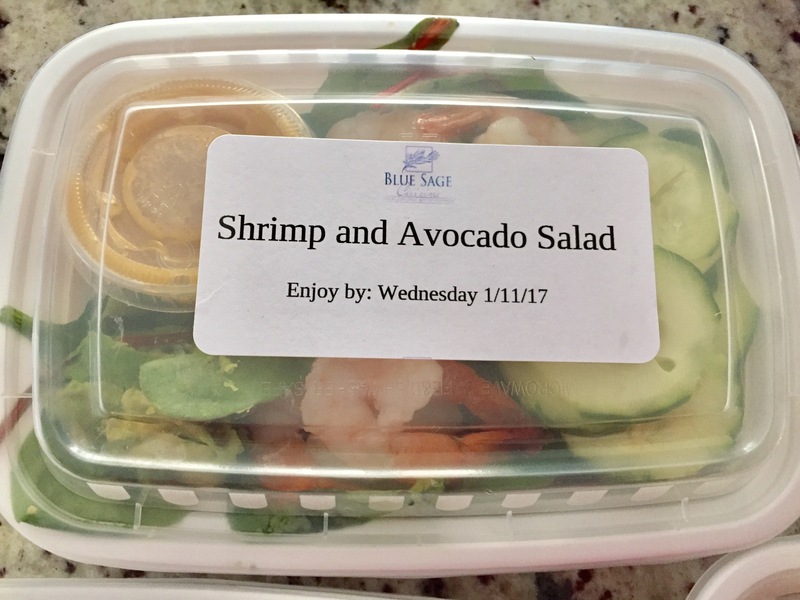 They provide locally sourced, scratch/made organic/natural cuisine, including Vegan, Vegetarian and Gluten Free options.They offer weekly meal prep and delivery. After speaking to the very sweet owner, Jasmine Wooden, I was very intrigued and definitely wanted to give this a try. At Blue Sage Cuisine , we provide locally-sourced food choices that are scratch-made and preservative-free. From corporate business needs and private parties to holiday dinners and weddings, we cater events of all kinds while maintaining the highest quality ingredients and service. We provide plated family-style, full service buffet and drop off service for weddings to small groups and everything in between. 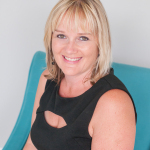 Our intimate service allows you to have personalized, high-quality service in the comfort of your home, office or any space that meets your needs. 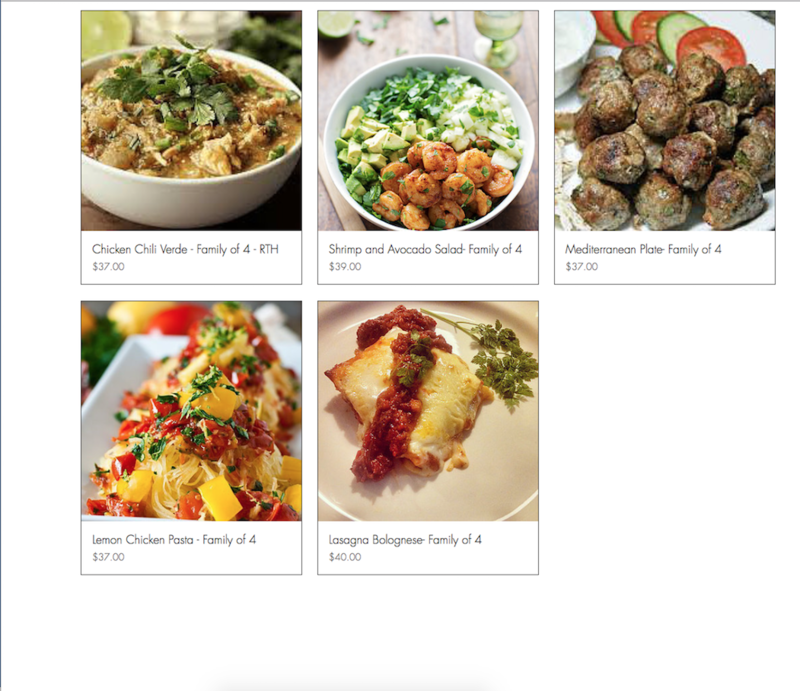 Since everything is made fresh, you can customize your menu to meet your dietary or personal preferences. We also offer fully Vegetarian, Vegan and Gluten Free options. We are passionate about serving the highest quality natural and organic cuisine. That means we work with local farmers and fishmongers to ensure we receive sustainably sourced, wild caught seafood, free-range and grass fed meats and organic produce. We make everything that we can from scratch to ensure that we know every ingredient that goes into your meal. You can trust that you are eating only what is listed on the ingredients and nothing more! We believe that food is primary to good health and what goes into your body is of the utmost importance. We can’t wait to serve and share our passion with you! Be well! When you go to www.bluesagecuisine.com, their are many tab options at the top. Check out the “Meals” tab. 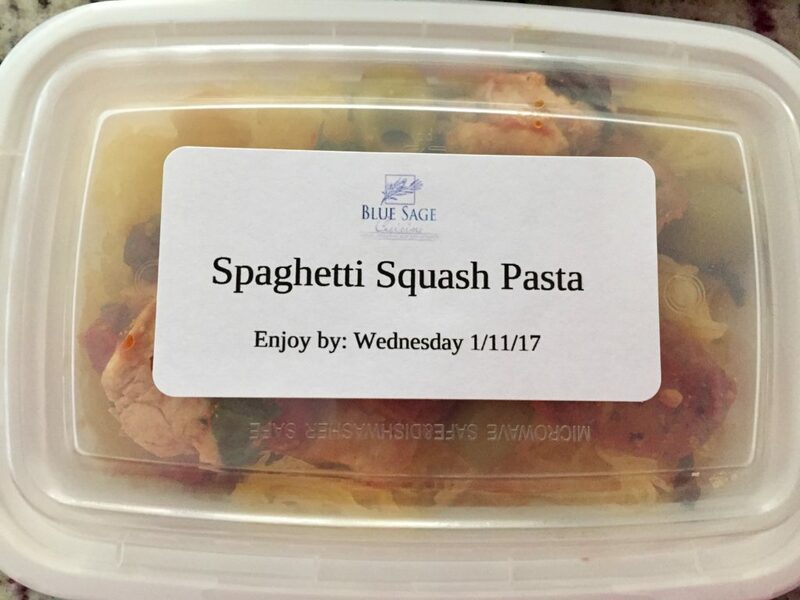 This will show you the food that Blue Sage Cuisine offers. From Brunch to Soups and Salads, everything looks and sounds so yummy! They also serve a wide range of Vegan meals. To get started with Blue Sage Cuisine, click on the “Contact Us” tab. Then, click on “Info Sheet-Meal Delivery”. 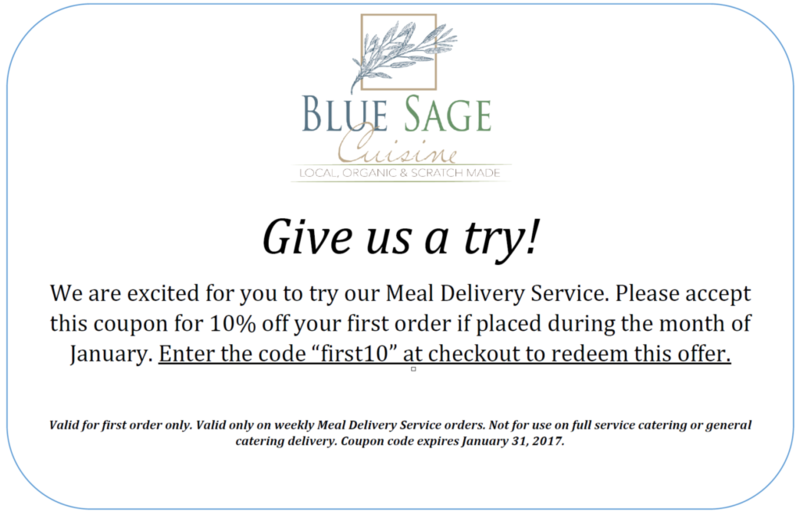 Fill that form out and Blue Sage Cuisine will be in touch with instructions on how to order. 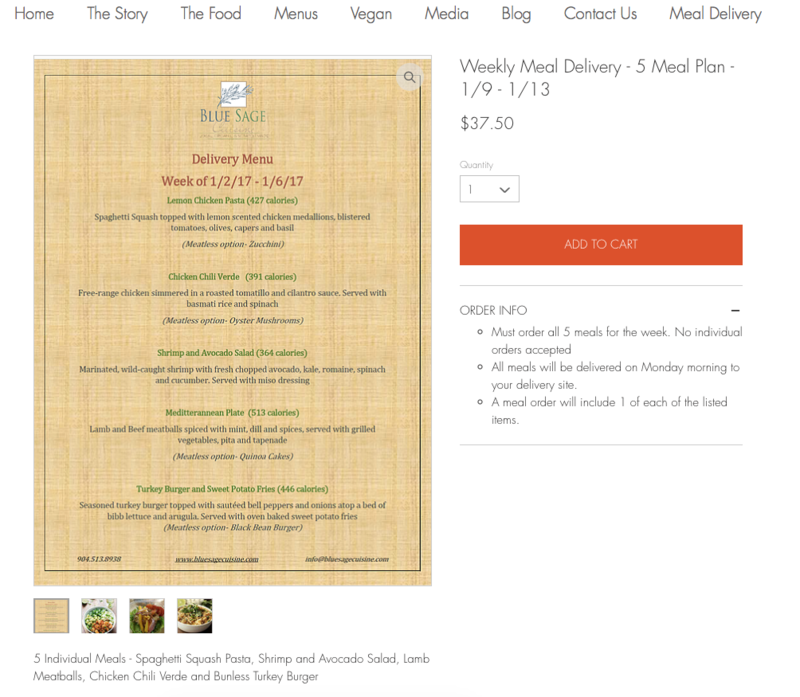 When you are ready to order, you will see the weekly menus being offered for the following week. 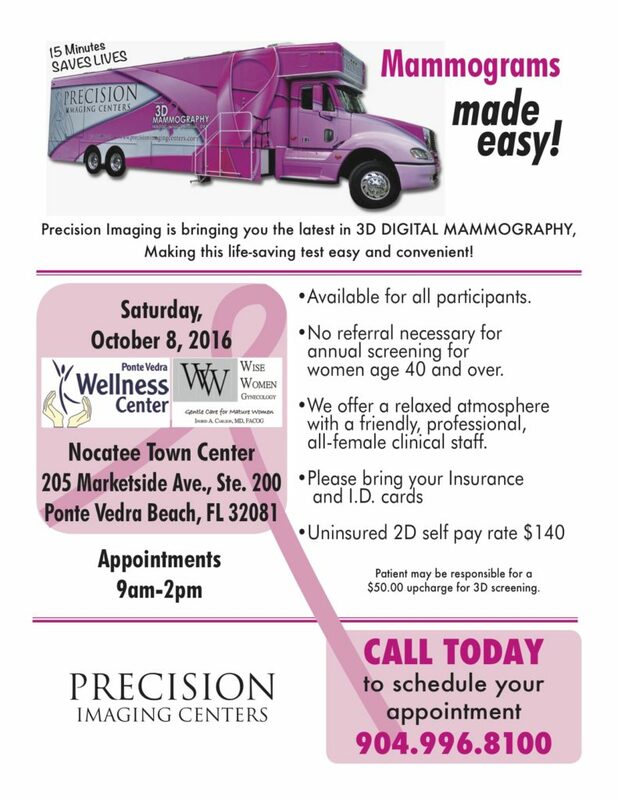 They are currently delivering to a select location in each of the following areas: Mandarin, Nocatee, Baymeadows/9A, Stands/UF, and San Marco. In order to pick up your meals on a Monday, your order must be placed by the following Saturday. Jasmine will explain all of that information in her email to you. 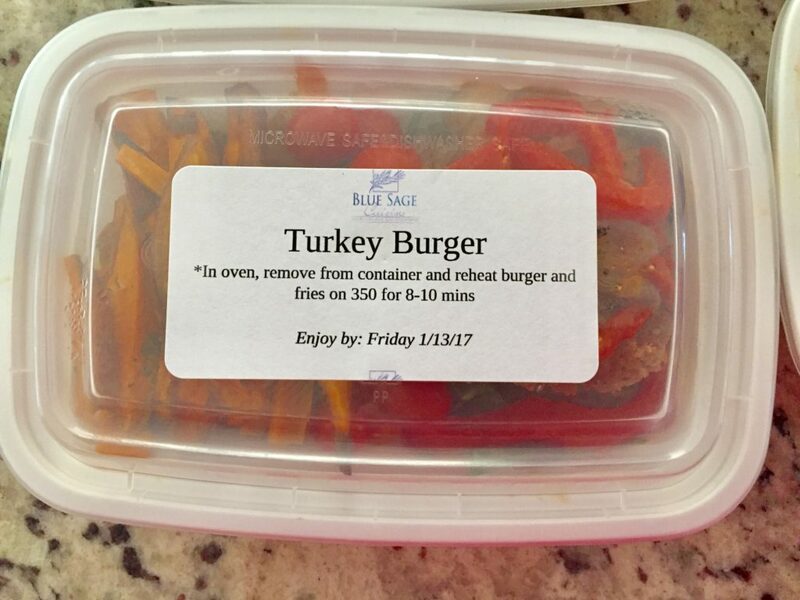 Each meal comes with heating instructions and calorie count. These meals make it super easy for my busy mornings/afternoons before I head out to work. They are also great for a quick and easy dinner just for myself. All of the ingredients are very fresh and everything was so tasty. Each meal kept me full until dinner time. 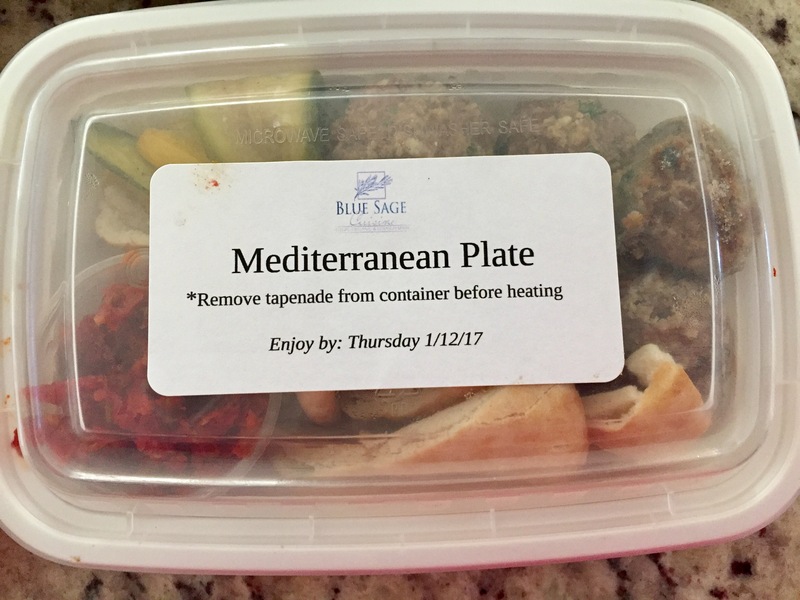 My husband tried the Mediterranean plate and he is pretty hooked! I was able to choose a Family Meal as well. Each meal feeds a family of four. They all looked so good, it was hard to choose. Each comes with a salad or side dish. 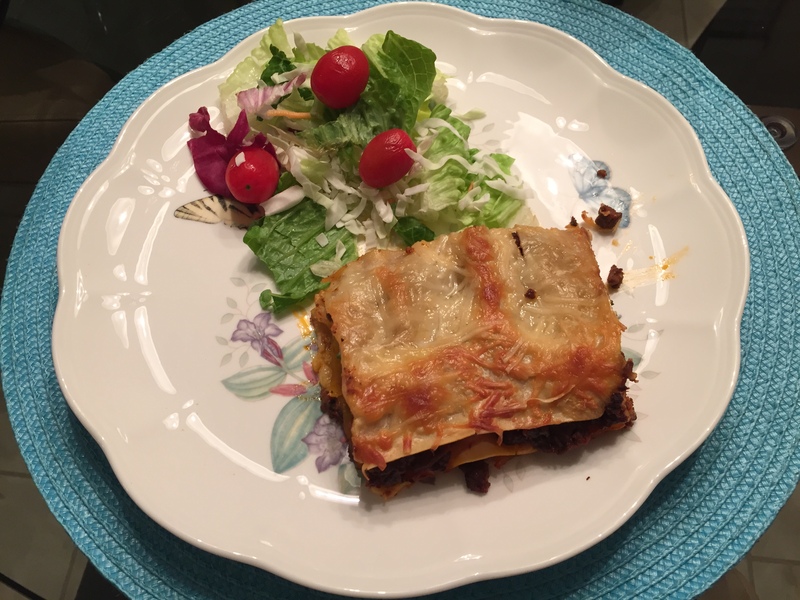 I chose the Lasagna Bolognese which comes with a salad. The family meal was more than enough food for my family of 4. We had plenty of leftovers for the next day! The food was so good and I love that it is a much healthier version. In conclusion…. the website was very user friendly, ordering process using PayPal went smoothly, and the meals are affordable, healthy and delicious. 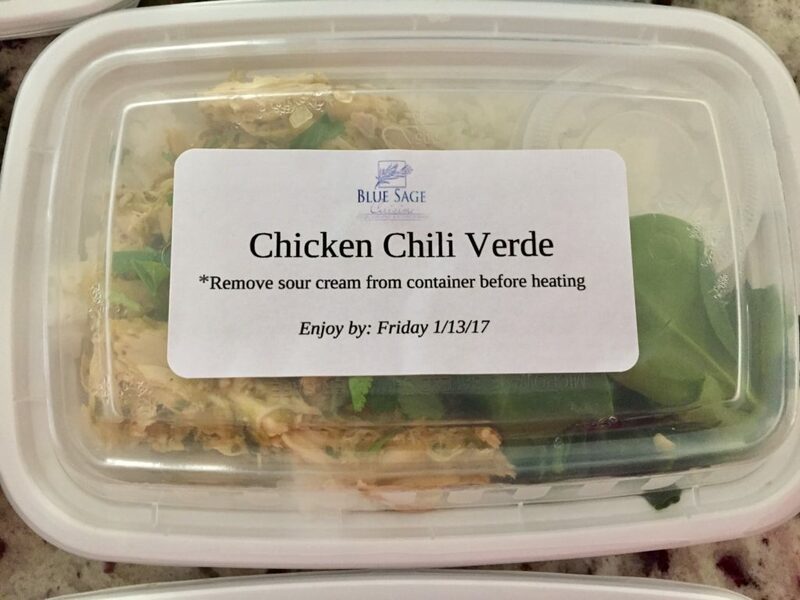 If you are looking to start eating healthier or are in a time crunch to prepare meals, then definitely give Blue Sage Cuisine a try!! Check out the below coupon for a discount on your first order during the month of January! I received meals in exchange for this review. All opinions are my own.